Belle Corporation president Manuel A. Gana with Belle Corporation employees at the One Tree at a Time Tree Planting Activity at Tagaytay Highlands. Over 500 saplings were planted across residential areas in Tagaytay Highlands as part of the premier mountain resort complex’s commitment in nurturing a sustainable environment. Employees and volunteers join hands in this year’s One Tree at a Time 2018 Tree Planting Activity at Tagaytay Highlands. 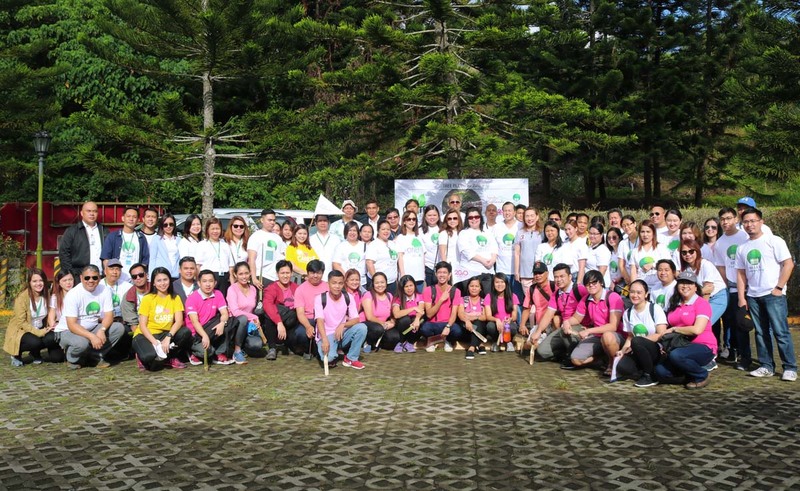 Tagaytay Highlands Club employees take part in the One Tree at a Time Tree Planting Activity held last December 7, 2018. Tagaytay Highlands is the premier mountain resort development of the SM Group in Tagaytay. Nestled among the highest elevations of the city, it is a leisure destination that speaks of exclusivity and luxury, where stunning nature views and a breezy, cool climate come together to redefine relaxation. For inquiries about owning a Highlands home, call +632 5052422 and +63917 5150158 or visit www.tagaytayhighlands.com.